There are numerous reasons why Birmingham is referred to as the “workshop of the world” it has been producing a wide range of goods from jewellery to cars for hundreds of years. Birmingham has been so successful because it has the ability to transform and adapt to constant change. Nowadays Birmingham is both industrial and commercial city and has recently been singled out for being the top city in the UK for producing the highest number of inventions. However, in the beginning Birmingham was most famous for playing a central part in a thriving manufacturing industry. From as early as sixteenth century onwards our second city was the centre of the UK’s metal working industries with a big population of iron managers. During the English Civil War the principle tradesmen were the blacksmiths, they were called upon to manufacture over 15,000 sword blades for the Parliament forces. 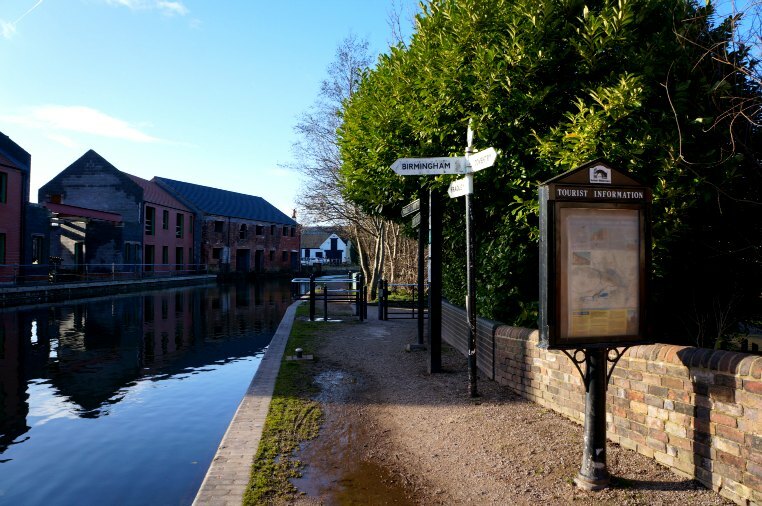 The first canal to be built in the area was the Birmingham Canal, built from 1768 to 1772. By the 18th century Birmingham was the greatest industrial city in the world, even today it still reaps the benefits from a long history as the leading centre of trade and market innovation. In the early 1800’s Birmingham factories were heavily dependant on workshops and the application of factory based steam power. However, there were still thousands of small workshops employing a small number of workers – they would use their hands rather that steam technology to operate presses, lathes and stamps. Industries were also established to provide the chinaware and some metal tongs which wear hallmarks of newly fashionable leisure activities like making tea. During this period, many factory workers would spend their leisure time in some of Birmingham’s oldest pubs, most of which served beer brewed by the five large breweries based in Birmingham at the time. Birmingham is located near the coalfields of Northern Warwickshire and is at the centre of the UK’s canal system. Due to these fantastic transport links, Birmingham became an increasingly large part of a global economy – products from Birmingham found their way to Europe, America, Asia and Africa. Fazeley Junction. Birmingham and Fazeley Canal meets the Coventry Canal. Due to the fact Birmingham was an inland location it had to produce quality goods to make it worth the travel costs. Birmingham was highly dependant on its canal particularly during the industrial revolution. The city flourished and enjoyed vast growth. 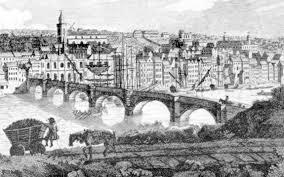 In the mid 1830’s Birmingham also became the centre of the Grand Junction Railways linking London and Birmingham, becoming the hub of the national railway. By this point, Birmingham has a highly skilled workforce and had both imperial and commercial ambitions for the 20th century. By 1938 there were 240 steam engines in Birmingham – they were small and generated power by hammering, rolling and blowing. By the early 20th century Birmingham expanded even more so, it became the “city of a thousand trades” emerging as a place with the ability to craft and manufacture trade goods. Since the 1970’s the importance in Birmingham’s manufacturing industry has declined – the city has become more diverse and now operates predominantly in service industries, retail and tourism. 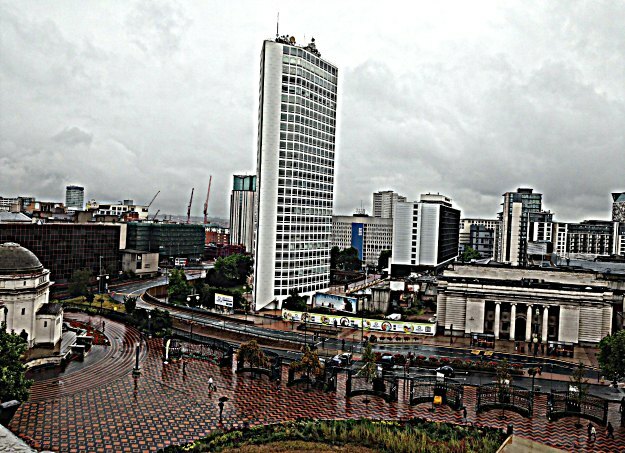 Despite this, Birmingham has the second largest economy in the UK hence why it is referred to as the second city, according to the GVA data from June 2013, it still remains one of the most important cities in relation to manufacturing and engineering, producing over £2,000,000,000 of goods per year. Currently over 100,000 people work within this industry, however in recent years there has been continued strain on jobs with unemployment levels reaching 16.5% (2012-2013). The city is one of the key locations for producing motor vehicles, vehicle components and accessories. Birmingham is home to two major car factories; Jaguar in Castle Bromwich and MG Rover in Longbridge. Birmingham is also highly well known for its famous Jewellery Quarter, a third of the UK’s jewellery is manufactured in Birmingham just miles from the city centre. Birmingham’s Mint is the oldest independent mint in the world and produced coins for circulation up until 2003. Today, Birmingham still lives up to its reputation of being the city of a thousand trades – its products include electrical equipment, plastics, machine tools, chemicals, glass and food. The Bullring sits in the heart of the city centre and is one of the largest shopping centres in the UK, it is the second most visited retail destination in the UK (London being the first). The retail sector makes up a large proportion of the city’s economy. Nowadays the canal network is no longer the main transport route to the city, however it still lives on and is used for tours of the city providing tourists with plenty of beautiful views of the up and coming modern developments like the Cube and restored industrial heritage buildings. In recent years there has also been pressure on the city’s transport infrastructure. Birmingham New Street Station remains central to the cities transport links it is currently undergoing renovation – the £550 million redevelopment will be completed in 2015 and is set to become the terminus of the city centre extension of the Midland Metro, currently 80% of the countries services run through the city – it remains part central of the UK’s transport services.